Today’s 4.75 mile cross-country race saw repeat victories for Portsmouth’s Jacob O’Hara and Guernsey’s Louise Perrio in their respective gender divisions. 16-year old Jacob O’Hara earned his second win of the weekend by breaking clear of the competition at around two miles and going on to win in 25:46. The subsequent pecking order almost mirrored that of yesterday’s road 5k, with Carl Holden taking second place in a time of 26:43. Guernsey Under-20 athletes Richard Bartram and Dan Galpin took third and fourth place, with times of 27:03 and 27:10 respectively. Jersey’s Peter Holmes ran 27:17 to close off the top five. Jenny James and Laura McCarthy’s duel for the honour of second woman saw the former pull away to finish in 30:06 to McCarthy’s 30:48. Guernsey’s Sean Galpin fought off Aldershot’s Zippy Grice to finish top veteran with a time of 29:25. Today’s race saw solid times despite the added resistance provided by the almost ubiquitous Northwesterly winds along the coast. 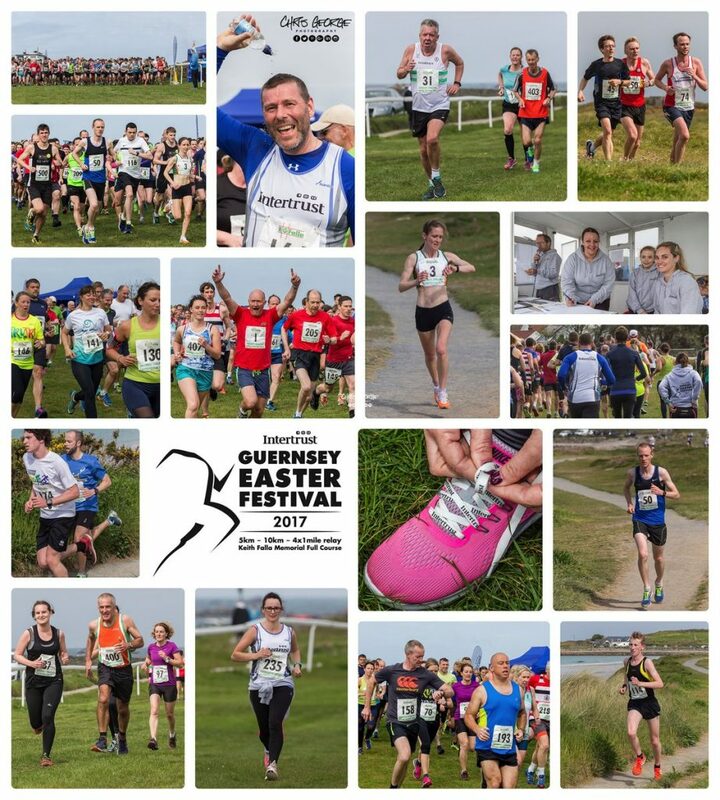 Tomorrow will see runners return to L’Ancresse common for some fast-paced relay competition. The race will be held at the Stonecrusher venue and the first runner of each quartet will pass the starting line at 10:30.